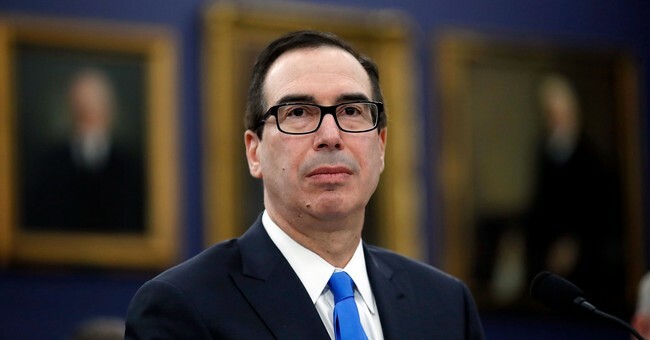 White House Press Secretary Sarah Sanders announced Thursday morning U.S. Treasury Secretary Steve Mnuchin has backed out of an upcoming conference in Saudi Arabia. The timing comes as Saudi Arabia and Turkey investigate the alleged murder of Jamal Khashoggi, a Saudi columnist for the Washington Post. "I had a chance to brief the president on the travel that I returned form last evening, where I traveled to Riyadh and Ankara. I had a chance to talk in Riyadh with the King, the Crown Prince, the foreign minister, and all of the United States counterparts there. We made clear to them that we take this matter very seriously, and they made clear to me that they too understand the serious nature of the disappearance of Mr. Khashoggi," Pompeo said. "They also made clear that they will conduct a complete, thorough investigation of all of the facts surrounding Mr. Khashoggi, and that they will do so in a timely fashion. And that this report itself will be transparent, for everyone to see, to ask questions about," he continued. "I told President Trump this morning that we ought to give them a few more days to complete that so we can get a complete understanding the facts surrounding that, at which point we can make a decision about how the United States should respond to the issues surrounding Mr. Khashoggi." Pompeo also stressed the importance of the strategic relationship between the U.S. and Saudi Arabia as the investigation moves forward. "I think it’s important for us all to remember too that we have a long—since 1932—we have a long strategic relationship with the Kingdom of Saudi Arabia. They can be an important counterterrorism partner, they have custody of two holy sites, they are an important strategic alliance," he said. At the White House Wednesday, President Trump said he's still waiting to find out what happened before jumping to conclusions.